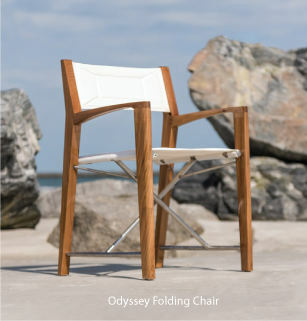 The clean-line, high style design of the Gemini Collection combines the best use in mix materials; premium eco-friendly teak from sustainable plantations, commercial grade stainless steel, and high performance UV and tear resistant Textilene®, a durable mesh PVC coated fabric that is also mildew resistant and flame retardant. The strong breathable mesh conforms to the shape of the human form while allowing air circulation on seat and back, making seating a very comfortable chair. Teak tabletops are lined with Sikaflex® between slats. Chairs stack four high for easy storage.